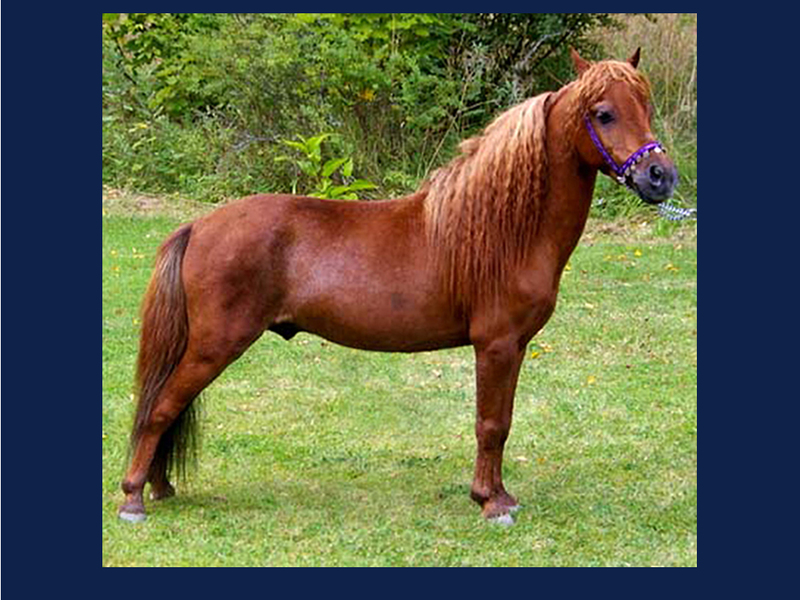 An impressive small stallion with with a lot of attitude / front, perfectly proportioned, and a sweet and mild character, also in the group. 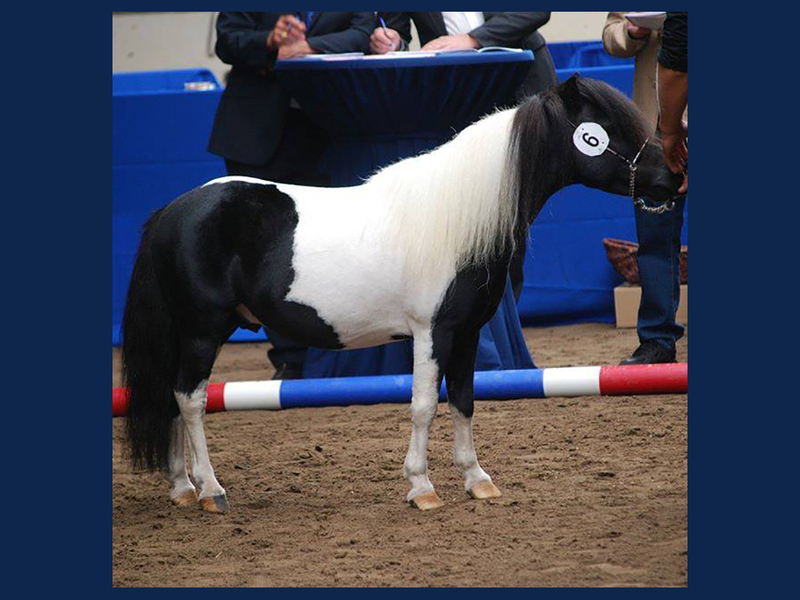 Looking for young talent, from proven pedigree with color in the genes, then this Falabella champion can help you. Black leopard appaloosa, 87 cm . Fantoche x Nocturna, Fully Argentinian bloodlines. 1st premium stalliona and European champion offspring 2015. Also NMPRS approved and primed. Fuente has a very nice character. 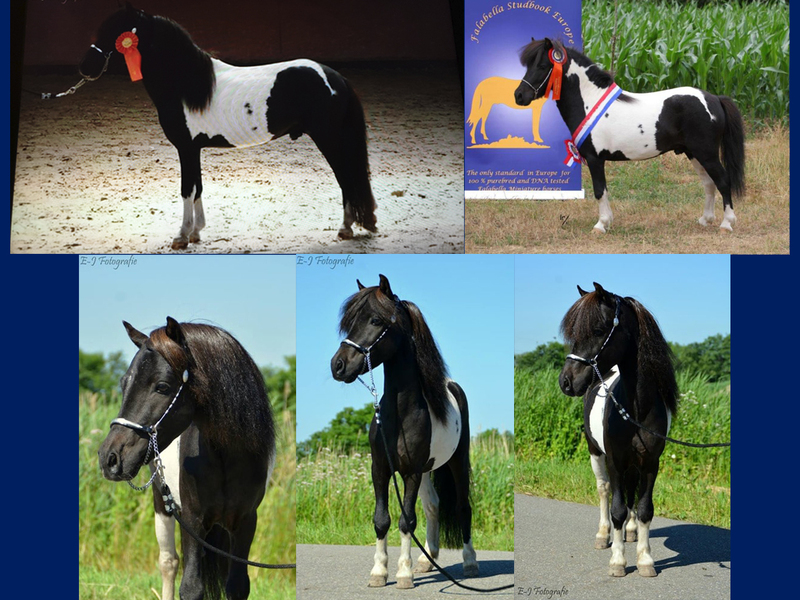 Smaller edition of the European Champion Stallion Fantoche and the elegant 1st premium mare Nocturna. Fuente gives his beautiful black leopard appaloosa color very frequently. 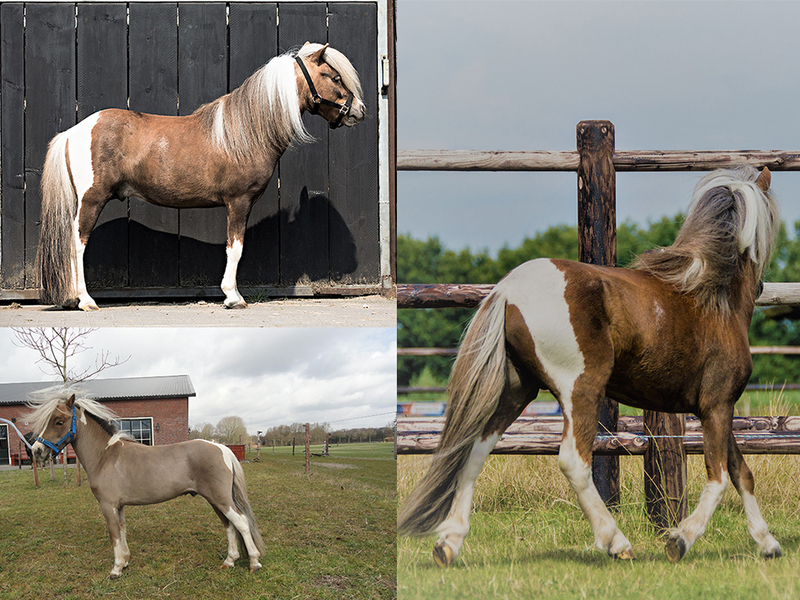 Because he has a color thinning he also regularly gives palomino or cremello colored foals, but he never gave a black or brown foal. He also gives a very high percentage of fillies! All his foals are beautiful build and can move well and get good premiums at the inspection. Without exception they have a beautiful head with big eyes and a lot of dish. In 2015 two off his daughters were added in the FSE-studbook. Both with a 1st place and 1st premium in a large group. One was also crowned as European champion mares. Both daughters came out of big mares (95+) but are 86 and 87 cm tall themselfes as 3- and 4-year olds. Fuente covers at Stoeterij Ante in Honselerdijk but can also be rented. Do you want color & quality? Then we can recommend Fuente. 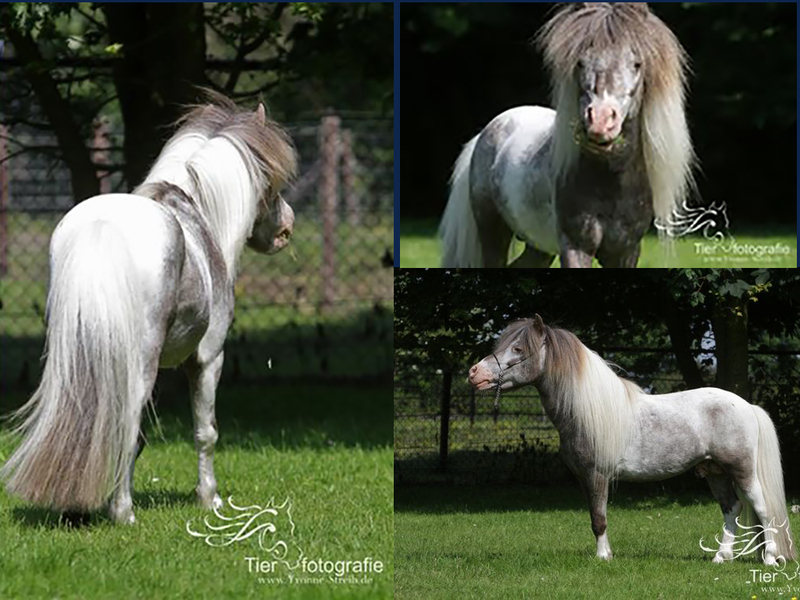 Falabella Stallion Pintaloosa 86 cm with an impressive status of contributions and descendants in the UK and the Netherlands. 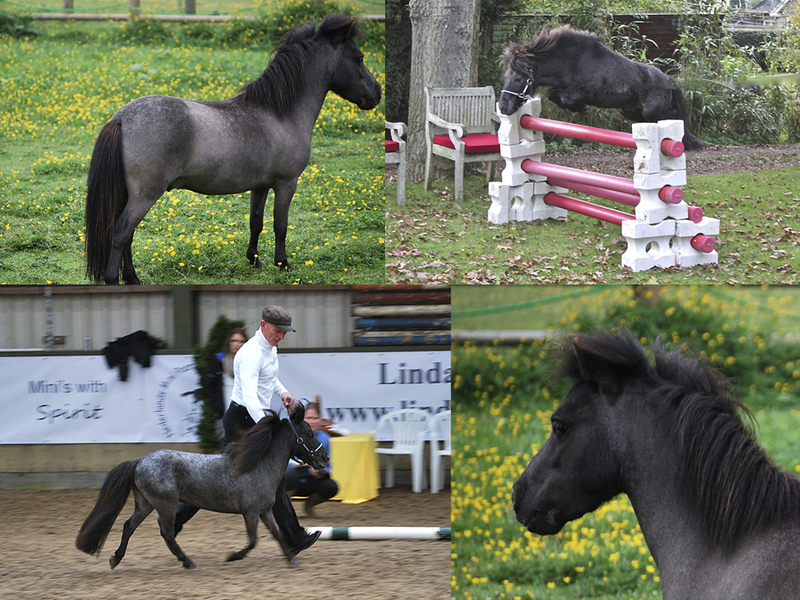 Fabio in 2010 imported from the UK, and is a direct descendant of the 1st generation of Argentine 100% pure Falabella's. A stallion with an impressive appearance in posture, movement, color and lush hair growth. All of its offspring are characterized in color and quality, and have spread all over the world. 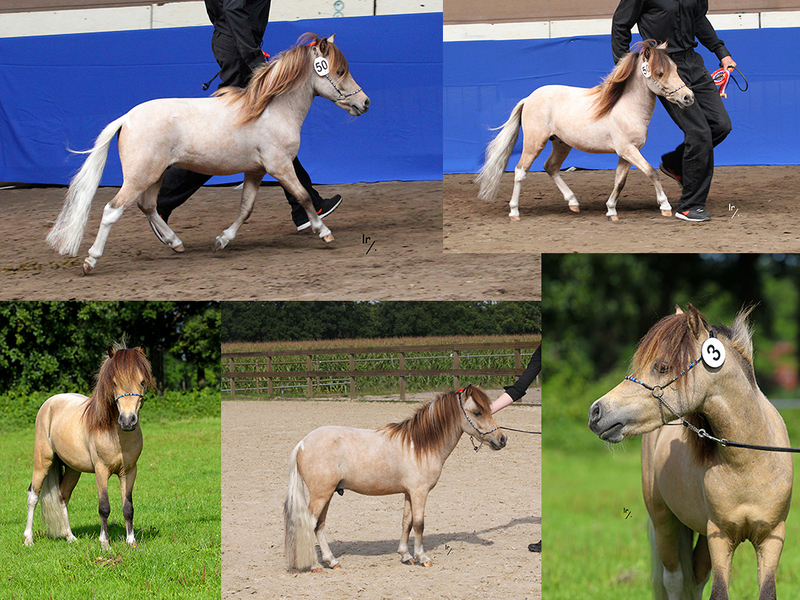 Falabella inspection in 2014 - again the colt Fabio -YOUTH CHAMPION stallions + 1st premium gold. 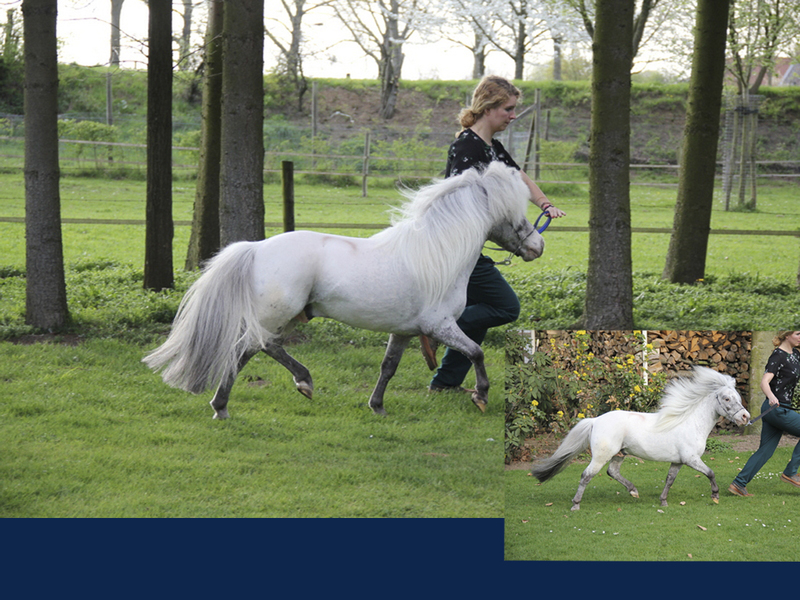 A lifelong approved stallion for the FSE, as an approval for breeding of pedigree NMPRS. Een mooie jonge bruinbonte hengst van slechts 80 cm. 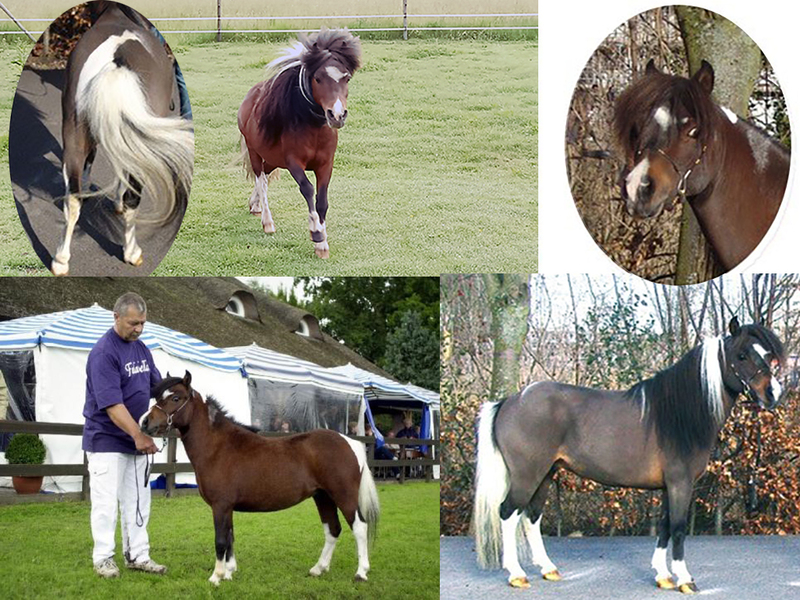 Deze hengst behaalde in 2015 als 3 jarige een 1e premie goud, werd Europees kampioen in de minimaat en als klap op de vuurpijl Europees Algemeen Dagkampioen! “Een hengst met veel front en een aanwinst voor de fokkerij” zo beschreef de jury Manuelo. Zijn vader is Sublimado, een kampioenshengst geimporteerd uit Argentinie en zijn moeder is Lisandra. Manuelo heeft een inteeltcoefficient van 0,0000% en is daarom goed te gebruiken binnen de kleine populatie falabella’s in Europa. Is avaiĺable at stable Fan Redlum at Waskemeer Netherlands Friesland. Undoubtedly the stallion with the most beautiful head of all Falabella stallions in Europe. His beautiful nobility, his stunning color and his sublime movements are clearly recognizable in his descendants. Pinturo also has several approved sons! 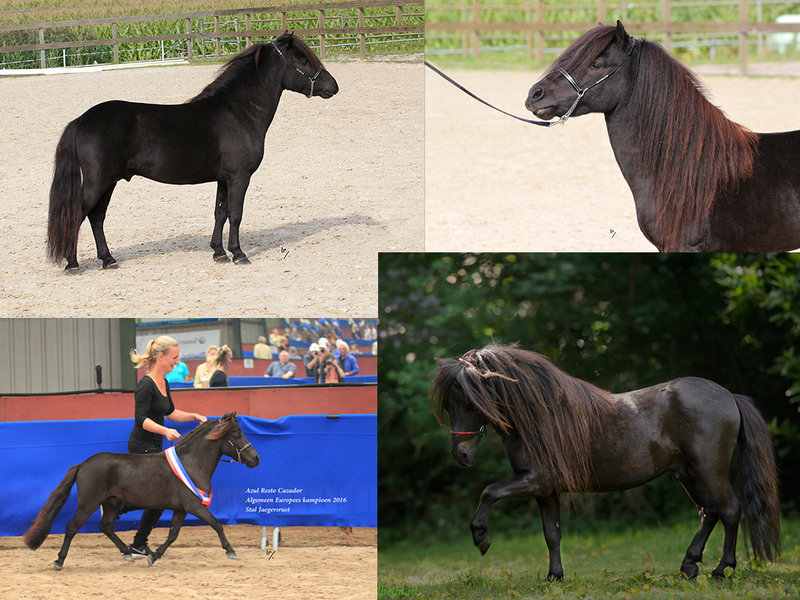 And he had several descendants in top places at the European Falabella Championships over the years. His last four foals all received a first premium (gold) on the European Falabella inspections in 2017 and 2018. Pinturo is since 2017 for coverage at Stoeterij Hooidonkhof. Romero is an approved stallion for the Falabellastudbook since 2018. He is very promissing. For such a smal stallion he moves very good. he is also build elegant sith long legs. His ancestors are all real smal Falabellahorses. 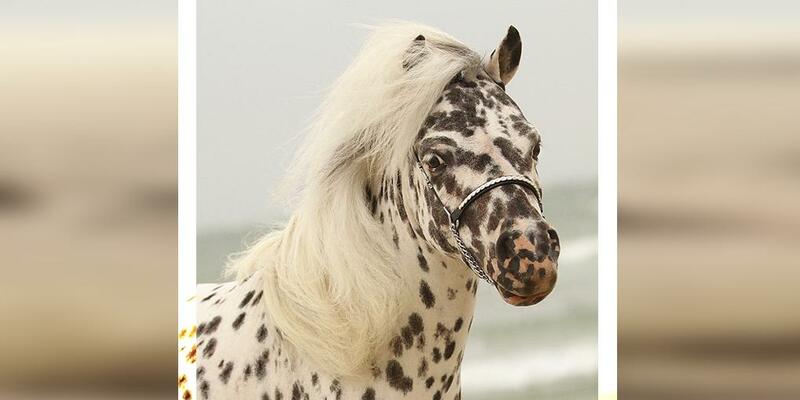 He can pass on tobiano, dilution and appaloosa to his offspring. In 2019 his first foals are expected. Tango has earned his spurs in falabella breeding with his champion son and many beautiful daughters he performs at a high level. His foals have super nice heads. That is also what we strive for in breeding. Tangos foals are super and often he gives his beautiful black-pinto color. Breeding with Tango is therefore not gambling. Tango is available to cover at Jacky Stables. He is for sale of can be rented. The jury spoke with praise about the uniformity of the descendants, the inheritance of a strong back, size, color and quality. Robust and sturdy macho with a finely sculpted head, small ears and awake and attentive eye. Playful and alert going and reliable stallion. The first offspring of Antigo rewarded in 2010 with a 1st premium, is a promising mare Sosa Resto Cazador. In August 2011, born 2nd descendant of Antigo, a super little appaloosa filly Zsa Zsa Resto Cazador. In 2012, we again received two fillies of this stallion, which Raya Resto Cazador became European champion in 2012 and Shanti Resto Cazador 1st premium gold. 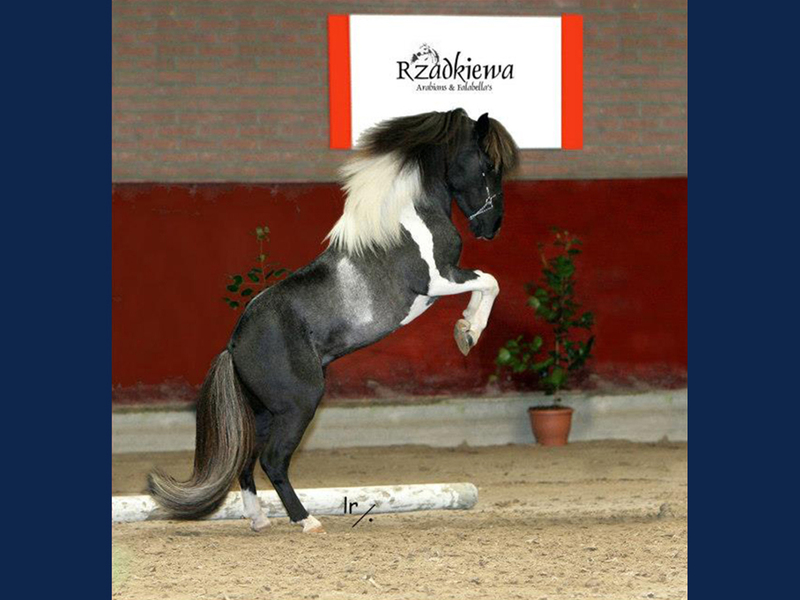 In 2014 became the mare descendant Rayaela Resto Cazador European champion YOUTH. European Grand Champion & model of the Falabellarace as only stallion in Europe! Also approved at NMPRS with a 1a premium. 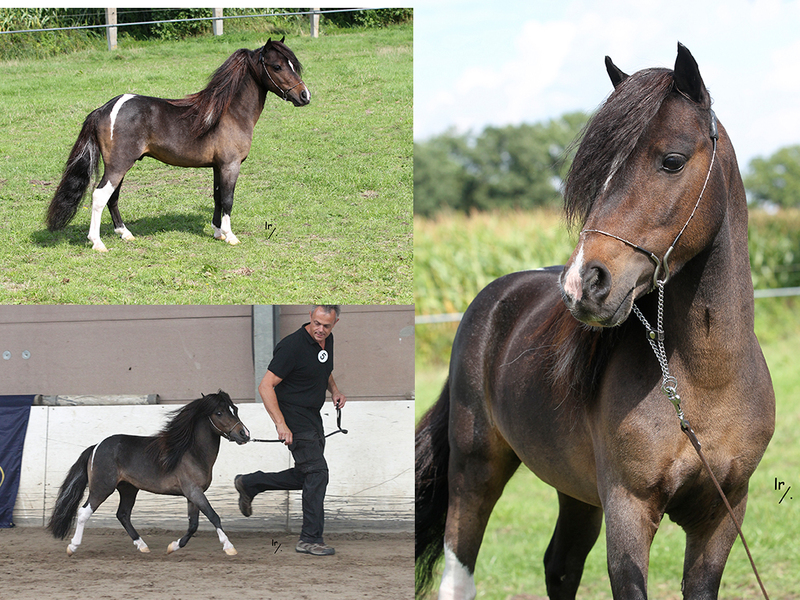 Tycho has about 25 foals on his name, who got mostly high premiums at the European FSE Falabella inspection. Many of his foals are already included in the studbook as breeding stallion or breeding mare. He gives his foals his almost perfect construction as well as his good movement and beautiful heads. He also inherits beautiful pinto, falcon and appaloosa colors. Falabella stallion with proven quality, who gives his foals color, movement, model and a fine head. He also has a nice character. Results: first premium with the FSE and NMPRS.